In the backdrop of sugarcane payments of Rs 1,200 crore for 2017-18 crushing season still pending on private sugar millers, Uttar Pradesh chief minister Yogi Adityanath has flagged the issue for speedier settlement. In the run-up to the crucial 2019 Lok Sabha polls, the Adityanath government doesn't want to give any leeway to the Opposition to corner it over farm sector issues, especially sugarcane payments, since it was one of the foremost pre-poll promises of the now ruling Bharatiya Janata Party (BJP) before the 2017 UP elections. Against payables of Rs 35,463 crore on UP sugar mills for 2017-18 season, millers have collectively settled Rs 34,260, leaving the balance of nearly Rs 1,200 unpaid. Yesterday, the CM issued strict directives to sugarcane department for ensuring timely payment to farmers and underlined that the government was making all efforts towards facilitating the prompt payment of the balance dues and weeding out under-weighing of sugarcane at the purchase centres. So far, the Adityanath government has issued recovery certificates against 10 defaulting mills, namely, Malakpur, Walterganj, Bisauli, Brijnathpur, Gagalheri, Bulandshahr, Chilwaria, Gola, Shamli and Gadora. The process of attaching sugar stocks, buildings and plant & machinery of these mills is already on, in order to allow the district administration to take necessary action for auction and payment of cane dues from the sale proceeds. Besides, FIRs had also been lodged under Section 3/7 of Essential Commodities Act against occupiers of 13 mills belonging to the Bajaj Hindusthan, Simbhaoli, Modi and Wave Groups, apart from three standalone entities over non-payment. In fact, of the 119 mills in UP, about 92 in the private and government sectors have already settled their dues fully, leaving only 27 private mills with outstandings, primarily belonging to Bajaj Hindusthan, Modi and Simbhaoli groups, apart from a few standalone units as defaulter, according to a senior state cane department official. During 2017-18, UP cane area was 2.3 million hectares (MH) and cane production was 182 million tonnes (MT). The mills produced 12 MT of sugar by crushing nearly 111.2 MT of cane. This year, cane acreage and production is estimated at 2.8 million hectares and 213 MT, which is 17 per cent higher than last year. As a result, sugar production during 2018-19 season is pegged at 12.4 MT with the crushing of 115 MT of cane. 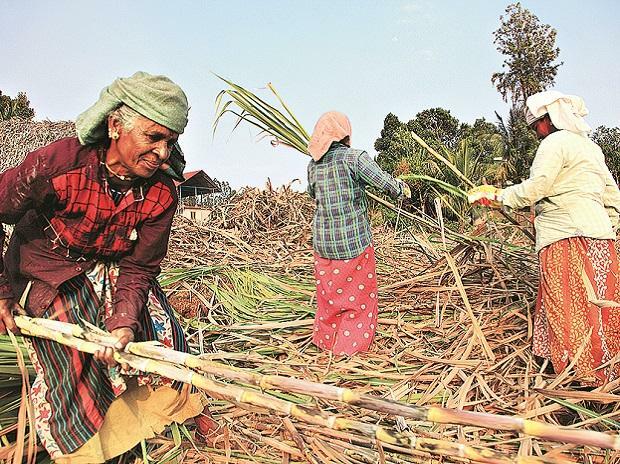 Over the past 12 months, the state's sugarcane farmers have received more than Rs 50,000 crore in payments against cane supply. This includes Rs 34,260 crore for 2017-18 season and Rs 10,605 crore for previous crushing seasons, including 2017-18. Besides, the mills have also paid about Rs 5,500 crore to farmers against total payables of Rs 10,900 crore pertaining to the current 2018-19 season.